It’s late…but look at this! Leave a Comment on It’s late…but look at this! 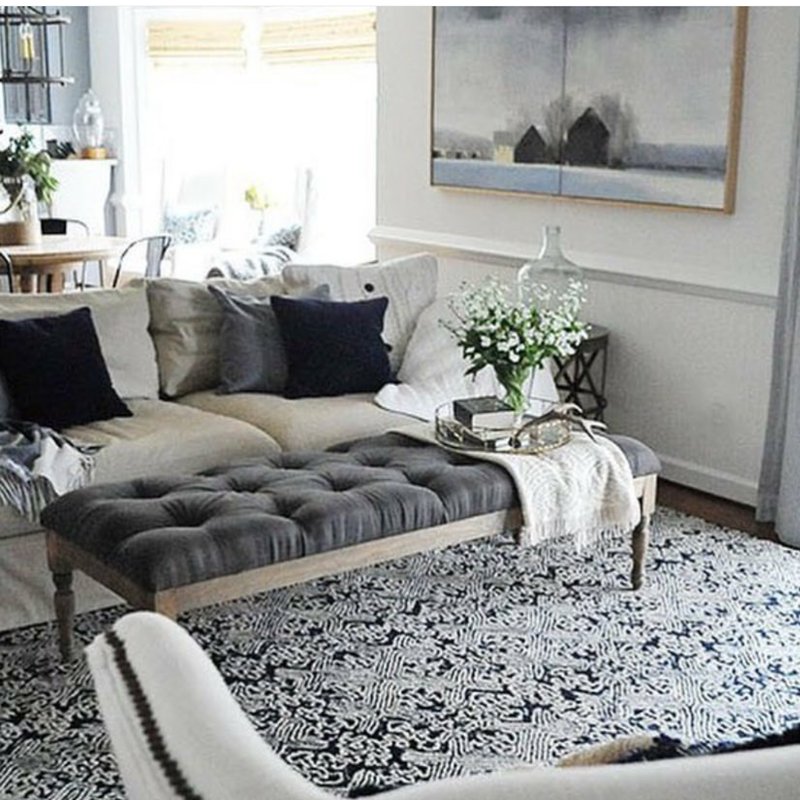 This room is a love story, I love the rug , I love the bench/coffee table, the throw pillows, and o.m.gee that painting on the wall. I really like the soft, neutrals but the distinct design patterns including the tufting in the bench, and the different textures in the pillows, I’m certain that I would love the rest of the light fixture that we get just a hint of in the background…a really great pic makes me want to see more! And this one did just that. Well played Home Goods, well played! Next Entry So much to say!